Former NBA star forward Lamar Odom announced that he will return to basketball and play in China. Odom revealed the news via an Instagram post on Thursday, but did not disclose which team in China he will join. In addition to his announcement, Odom thanked former NBA point guard and two-time NBA All-Star Stephon Marbury "for being my inspiration," presumably referring to Marbury's illustrious career not only in the NBA but also in the Chinese Basketball Association. Marbury, who last played in the NBA during the 2008-2009 season for the Boston Celtics,enjoyed severalseasons with the Beijing Ducks before retiring from the CBAthis year after one season with the Beijing Fly Dragons. 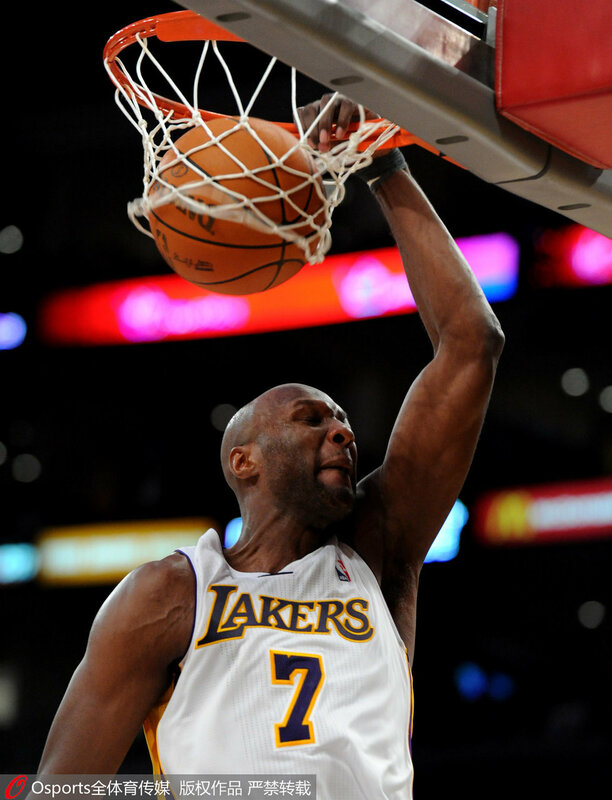 Odom last played in the NBA in the 2012-13 season, when he appeared for the Los Angeles Clippers. He signed a contract with the New York Knicks in 2014, but was cut by the team before appearing in a game. The 38-year-old had two NBA titles with the L.A. Lakers in 2010 and 2011. He won the NBA’s sixth man award during that second championship run. After leaving the NBA, Marbury had a long and successful career in the Chinese Basketball Association. Odom has struggled with drug addiction for years. In 2015, he was found unconscious with cocaine in his system in a Nevada brothel. He wasunconscious on life supportin a Las Vegas hospital before making an incredible recovery. He divorced reality TV star Khloe Kardashian in 2016. The two had been married for four years when Kardashian filed for divorce in 2013. She temporarily rescinded the filing after his cocaine overdose, but later re-filed it.